Orlando Pirates were frustrated by a resilient FC Platinum side in their penutimate Caf Champions League Group B match in Soweto on Saturday night. The Buccaneers were keen to bounce back to winning ways in the continental tournament having lost 2-0 to Tunisian champions Esperance de Tunis away last month. Marcelo Da Silva surprisingly made his return to the starting line-up and formed part of Bucs' three-man defence in a 3-5-2 formation with Justin Shonga and Thembinkosi Lorch deployed upfront. The Platinum Boys were also wounded having succumbed to a 2-0 defeat to Guinean champions Horoya AC away last month. 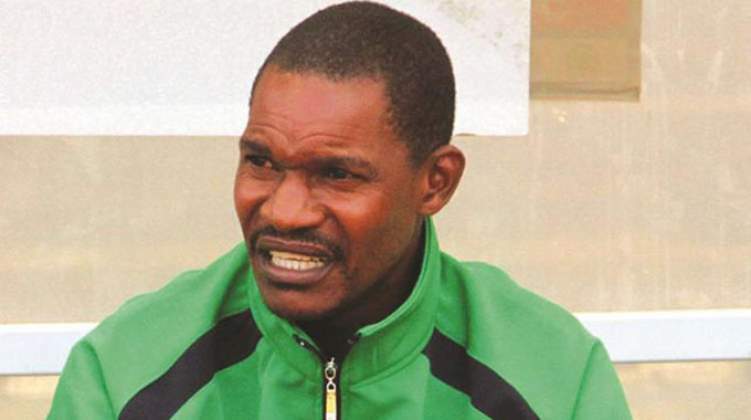 Platinum coach Norman Mapeza was hoping to lead his side to a famous win over the 1995 Champions League winners with the two teams having drawn 0-0 in Zimbabwe on match-day one. It was the visitors, who started brightly with Never Tigere stamping his authority in the middle of the park while looking to create chances for his attack-minded team-mates. The Platinum Boys were awarded a penalty in the 18th minute after Marcelo was adjudged to have handled the ball inside the Pirates box. Tigere then stepped up and he was denied by Pirates' experienced goalkeeper Wayne Sandilands, who was part of the Mamelodi Sundowns squad that won the 2016 Caf Champions League. However, Mapeza's charges continued to attack and they managed to break the deadlock when Tigere's long-range shot deflected off Alfred Ndengane and hit the back of the net to make it 1-0 to Platinum in the 27th minute. Bucs tried to respond with a goal, but the visitors' defence looked solid and impenetrable, and Innocent Maela's header from range was easily saved by Platinum keeper Petros Mhari. The Pirates defence looked shaky and they conceded again when Perfect Chikwendeoutmuscled Ndengane, before setting-up Rainsome Pavari, who scored in the 37th minute to make it 2-0 to Platinum heading into the half-time break. Milutin ‘Micho' Sredojevic introduced Zambia international Augustine Mulenga, who replaced ineffective Marcelo, as the Buccaneers looked to pull one back. Shonga watched on as his goal-bound free-kick was well-saved by Mhari, before Mulenga's thunderous long-range shot went just over the crossbar as Pirates piled pressure on the visitors. Pirates, who had scored the majority of their goals (25%) in the final mInutes of their Champions League games, kept pushed for a late goal and they deservedly got in the 81st minute. Luvuyo Memela played a low cross in the Platinum box and Lorch hit the back of the net to make it 2-1 as Pirates' pressure finally paid off. The momentum was Bucs in the closing stages of the encounter and they managed to level matters when Memela's cross was fired home by Mulenga to make it 2-2. The Platinum Boys then suffered a blow in stoppage time when Kelvin Moyo was red-carded after denying Pirates striker Thamsanqa Gabuza a goalscoring opportunity. However, Platinum were able to contain Pirates with Mhari making a great save to deny Kudakwashe Mahachi in stoppage-time and ultimately, the match ended in a 2-2 stalemate. The result saw the Buccaneers and Platinum Boys remain third, and fourth respectively on the Group B standings with one match left. Pirates will travel to Guinea to face Horoya AC needing a win to secure qualification to the quarter-finals later this month.